In many instances, it is cheaper to have your gear motors repaired than by new ones. Worn out parts and assemblies can be identified so that a more efficient system can be obtained. Repair for gear motors will ensure that parts are reworked to their original design or improved to enhance its performance. When it is the gearhead that is worn out in a separate motor/gearhead assembly, the gearhead can be replaced without necessarily requiring a new motor. Gear motors and gearboxes can be purchased separately and then matched to meet the specific requirements of the applications. 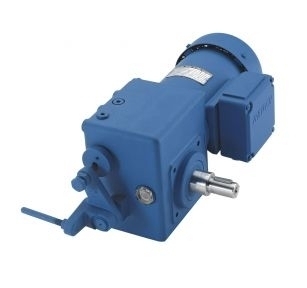 There is also the option to purchase a pre-assembled off the shelf gear motors through manufacturers. If the motor and gearbox are separately purchased, it is important for them to be an exact match so that there will be fewer problems particularly with gear motor repair. If the gearbox is damaged due to wear, the motor does not have to be replaced, only the gearbox. This will minimize the economic burden of gear motor repair that will be imposed on the end user. In order to reduce the possibility of gear motor repair in the future, it is important to know and understand the basics before purchasing a pre-assembled gear motor or a separate motor and gearhead. The gear motor is supposed to be a power transmission component but you simply don’t choose it on the basis of horsepower. When sizing a gear motor for a specific application, the focus should be on speed as well as the available torque at the gearhead’s output shaft. When you know exactly the torque required at the gearbox’s output shaft, you will know the input horsepower of the motor that is required. The most common mistake when purchasing a gear motor is improper sizing because the unit might not last for as long as expected. If the gear motor works for about 2 hours daily, it tends to see a lot of stress that may result into premature motor failure and eventually gear motor repair. On the other hand, oversizing of a gear motor can lead to an efficiency issue. The motor half of a gear motor is usually efficient at about 80% to 90% of rated full load. Many engineers assume that if a 5 horsepower motor is good, it will be better at 7.5 horsepower and more so at 10 horsepower which is not the always the case. A 10 horsepower model is basically running unloaded and the power consumption and efficiency unloaded is a lot worse than a 5 horsepower that is properly loaded. Motor efficiency is important but so thus gearbox efficiency. However, tool efficiency depends on several factors like gearbox loading. Manufacturers do not list down efficiency tolerances and differences in efficiency between a heavily loaded gearbox and one that is running on normal load. The lighter the load, the higher will be the ratio and it is likely that the gearbox will actually reach the efficiency that has been listed by the manufacturer.